Artist William Norman was born on September 7, 1904, in Duluth, the oldest of three children of Walter C. and Nellie A. (Parmenter) Norman. Louise D. was born on Feb. 22, 1908, but died at the age of five on Nov. 20, 1911. Alice M. was born on Oct. 21, 1909. Walter and Nellie remained in Duluth for the rest of their lives. Walter died on Sept. 4, 1933, and Nellie died on July 13, 1959. William grew up in a home at 4127 West Fourth Street. Following his graduation from Denfeld High School in 1923, he studied at the School of the Minneapolis Art Institute, the Chicago Art Institute, and the New York Academy of Design. He was employed from 1923 to 1925 as an illustrator for the Duluth Herald, from 1928 to 1929 as an illustrator for the New York American, and from 1929 to 1931 he worked for the Wisconsin News in Milwaukee. During 1932 and 1933, he embarked on a sketching tour of Mexico. 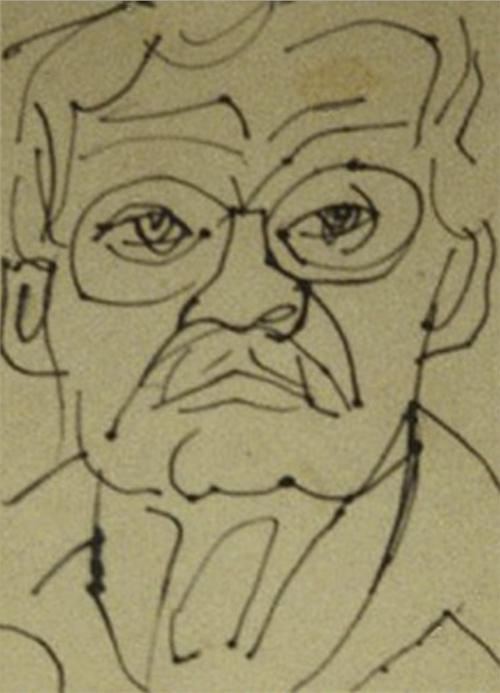 In 1933, he was employed as an artist by the Public Works of Arts Project in both Minneapolis and Duluth and worked there for two years, at the same time being hired as an illustrator for various magazines and businesses in both cities. During that time, he also completed a series of lithographs of Duluth scenes. William’s works, lithographs, water colors, and oils, were exhibited around the country, including the New York World’s Fair and the Brooklyn Art Museum. They are held in permanent collections at the Library of Congress, the Minnesota Historical Society, the Minneapolis Institute of Arts, the University of Minnesota, and the Milwaukee Art Center. In 1935, the Federal Arts Project of the Works Progress Administration began funding the Duluth Art Center, located in the Dodge Block at 405 East Superior Street. William became director of the Center and remained in that job until the Center closed in 1943. He then worked as a teacher and artist in the Duluth area for several years. Around 1957, he accepted a job as art director for the Bureau of Engraving, Inc., a printing, lithography, and photo engraving business in Minneapolis. He retired from that job in the middle 1960s, moving to Mexico to live and practice his art. He died in Arizona in August of 1980.